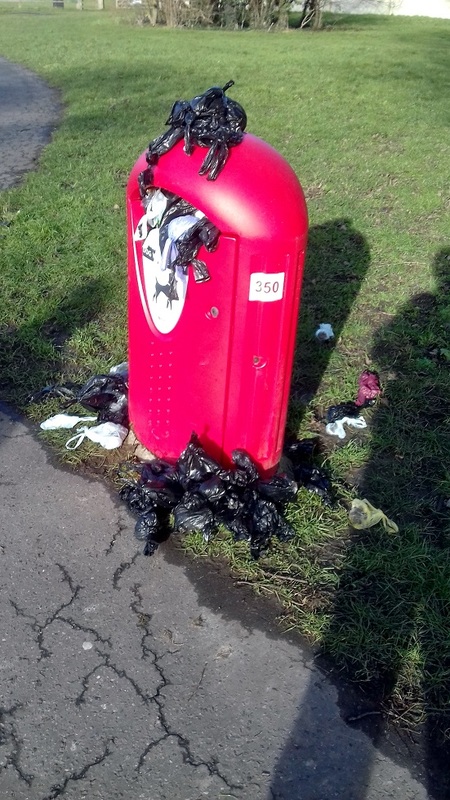 The majority of dog walkers in George V Playing Field in Felpham are conscientious in picking up dog waste and placing it in the bins provided. This cannot be said for Arun District Council in its responsibility in emptying the bins. As a Neighbourhood Watch co-ordinator, I regularly receive reports of overflowing bins causing an eyesore and health hazard. This has been reported to Arun Council, both by myself and others. No feedback has been received. No doubt the council would excuse this inefficiency by claiming lack of funds. I attach a photograph, above, to illustrate my point.